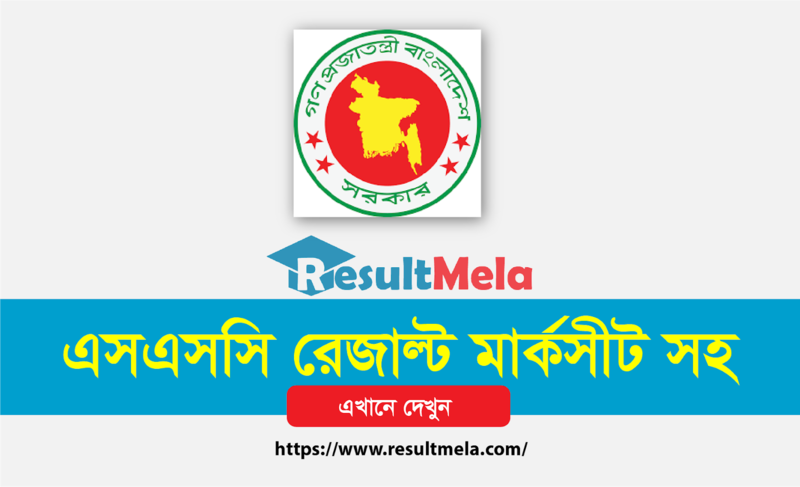 Bangladesh all Education Board SSC Result Marksheet is here.Are you looking for SSC Result 2019 Marksheet? Well, you have already known that the Result of Secondary School Certificate 2019 will be published soon. Now all the students are waiting for their SSC Result. Secondary School Certificate - SSC Result 2019 with Marksheet to be published 6th May, 2019.On this Day at morning around 10.00 AM The Education Minister Dr. Dipu Moni will Hand Over the Result to Prime minister of Bangladesh.After 2 PM you can download and print out your SSC Result 2019 Marksheet from educationboardresults official website.Here you will be found all possible way of checking the Result Secondary School Certificate. Do you know how to collect SSC Result Marksheet 2019 from Education Board official website? Most of the students doesn't know how they can easily print their Result with Marksheet from online.Don't worry here i will show you the easiest way of getting SSC Result 2019.All information about Bangladesh All Education Board is available here.Not you can check your Result but also you will be able to Print out and Download PDF of your Result. In this year The SSC Examination was started from 2nd February to 4th March 2019. We also published the SSC Routine 2019.According to this routine, The practical exam was started from 5th to 11th March.Now all the students are passing free time and waiting for SSC Result 2019. Secondary School Certificate - SSC Exam is one of the most important Exam for all Bangladesh Education Boards. After passing SSC Exam all students will be qualified admit into College or Intermediate level.Bangladesh Secondary and Higher all Education Board publishes their Exam Result after 90 Days of exam end.According to this rule i can say that this year SSC Result 2019 Publish Date is 6th May, Monday, 2019.To check, print out and Download Result Marksheet PDF follow the all method of this article. How to check SSC Result 2019 easily? This is common question from all SSC Candidates.By the way, There are multiple way to check SSC Result as like from educationboardresults official website, by Mobile SMS, from own institution and from eboardresults result archive.If you follow this article you can check your result easily by yourself even you can download whole SSC Result 2019 Marksheet.You just need a Smartphone or a Computer and a working internet connection. educationboardresults.gov.bd is the official result archive of Intermediate and Secondary Education Boards Directed by under Ministry of Education Bangladesh.All Public Exam Result are available here.You can check your Result with full Marksheet from there after publishing result officially, even you also be able download pdf and print out your Result.Now i will show you how you can easily get your result with full marksheet. Once the SSC Result 2019 published by Bangladesh Education Board Result officially, you will be able to get your result with full marksheet. Now follow the below step to get your SSC Result Marksheet 2019.All of the steps are shown above snapshot. Step2: Choose SSC/Dakhil from "Examination" option. Step3: Choose 2019 as your examination year. Step4: Now Select your board name. Step5: Type your SSC Roll number and Reg number in next two boxes. Step6: Solve security math and press the "Submit" button. I mentioned above all the steps of getting SSC Result 2019 from educationboardresults website, after completing all steps successfully you should see your result with full Mark Sheet.Now the important question is that how you can print out or Download PDF of your Result? This is a simple process.To print out or download PDF you need a computer with internet connection. After completing the above all steps successfully your result will be presented in front of you.Now press CTRL+P together from your keyboard and see the below snapshot. After pressing CTRL+P together from keyboard the print out option will appearance on the monitor screen.Now click on PRINT to print your result or Download your SSC Result Marksheet easily.You are done, you have successfully downloaded your SSC Result Marksheet PDF. Getting SSC/Dakhil/Vocational Result by Mobile SMS is the easiest way and popular also.You can check your result by Mobile SMS at a glance.It is easy and quick! Bangladesh all operator are providing you the opportunity to check all public exam result powered by Teletalk.But majority of the students are doesn't know the SMS format to be checked SSC Result 2019 Dhaka Bangladesh. If you want to check you result by Mobile SMS you need to send a SMS to 16222 with right format.Yes, there is specific format of sending this message. Firstly, you need a Bangladeshi any operator sim with balance available.Secondly, you should know your Board first Three letter as like If Dhaka Board the first three letter will be DHA.Finaly, your SSC Exam Roll Number will be needed.Just follow the below method to get SSC Exam Result 2019 by Mobile SMS. Example: SSC DHA 012345 2019 and send it to 16222 instantly you will get a replay sms with your SSC Exam Result 2019. It will charge 2.75TK with VAT+SD. Before sending a message, make sure that you have sufficient balance.After publishing the Result send the SMS otherwise no Result will be shown you, But 2.75TK will charge you.So be careful. There are total Ten Education Board in Bangladesh, Those are Dhaka Education Board, Chittagong Education Board, Rajshahi Education Board, Barishal Education board, Cumilla Education Board, Sylhet Education Board, Dinajpur Education Board, Jessore Education Board, Madrasa Education Board and Technical Education Board. We uploaded a video so that students can easily learn how they can easily check and print their SSC Result Marksheet from Education Board Result website.I hope this video tutorial will help the students to check their result as well Marksheet.